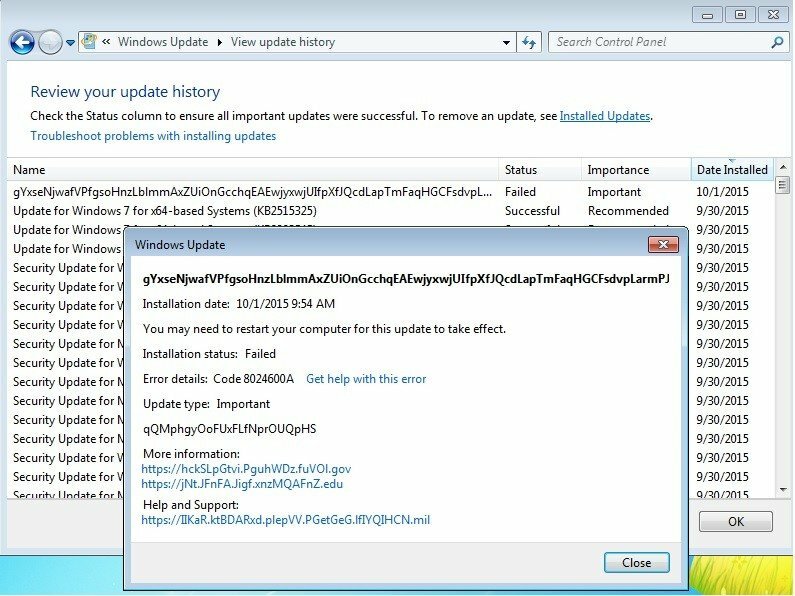 Windows 7 users were left scratching their heads on Wednesday when a mysterious garbled patch appeared in Windows Update, origins unknown. The update only seems to have popped up on Windows 7 systems, including Windows 7 Pro and Windows 7 Enterprise. The rogue patch, which advertised itself as a Windows Language Pack, was said to be 4.3MB in size and was flagged as an "Important" update. Its description mostly contained garbled text. Links for more information, help, and support were filled in with gibberish URLs with ".gov," ".mil," and ".edu" domains. While the text and links look highly suspicious – making some fear that Microsoft's systems had been compromised – none of the URLs seemed legitimate. They were just random characters, and DNS servers turned up nothing. The Register poked Microsoft about the issue, and a spokesman told us: "We incorrectly published a test update and are in the process of removing it." How that sort of thing happens, though, we're not totally clear on. The bizarre update has certainly confused a load of Windows users, who hit the support forums in search of answers. Beginning with Windows 10, Microsoft has begun touting a new strategy of "Windows as a service," where updates are continuous and automatic, and only enterprise customers are given the option of refusing them.